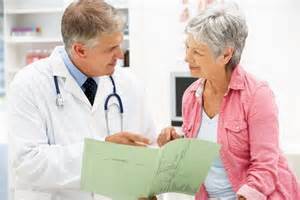 An Advance healthcare directive, sometimes called a “Living Will,” is legal document which instructs health care providers of the level of care you desire if you are unable to speak for yourself. Under Oklahoma Law it is presumed that you would want life sustaining treatment continued including the use of feeding tubes unless a contrary desire has been communicated. The best way to insure your wishes are honored is to have a Living Will. If you do not have a Living Will your family may disagree about what your wishes would have been. Terri Schiavo’s family found themselves in a seven-year court battle that could have been avoided if she had a Living Will. Therefore, even if you want all life sustaining treatment including feeding tubes: it is still important to make a Living Will. An Advance Directive or Living Will provides the best and legally enforceable way to communicate your instructions and avoid conflicts. You have an end-stage irreversible condition, caused by injury, disease, or illness, which results in severe and permanent deterioration indicated by incompetency and complete physical dependency for which treatment would be medically ineffective. Feeding Tubes and IVs Only: This choice instructs doctors to withhold life extending treatments except that you should be given nutrition and hydration through feeding tubes or IVs if necessary. Do everything: This instructs doctors to do everything possible to extend life including artificially administering nutrition and hydration (feeding tubes) if you are unable to take these by mouth. Do Nothing: This choice instructs doctors to end life sustaining treatments and to not use feeding tubes or IVs. Other: You are not limited to these options. You can include other instructions concerning the care you do or do not want. A Health Care Proxy is a person you choose to make medical treatment decisions for you in the event that you are unable to make such decisions. Your proxy can make decisions but they must follow the instructions in your Living Will. It is important that you discuss your values with the person you select. Communication with persons selected as a health care proxy is important. Oklahoma’s form includes the option to give instructions on organ donation. You can donate selected organ, tissue or your entire body. You can specify that your donation will be used for transplantation, therapy, research and/or teaching. What kind of care would you want on your deathbed? The law presumes that you want all treatments and feeding tubes. Your family might wonder what you would have wanted. Learn how to avoid these problems with a Living Will.